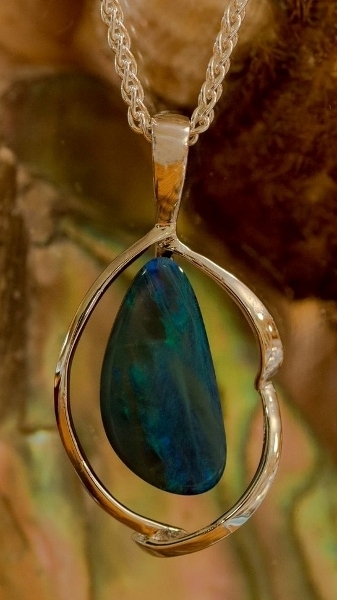 This artistic pendant is set with an Australian opal in sterling silver with a sterling silver wheat chain. Every opal is different and might vary in color from the one pictured. Give us a call or email if you have any questions.